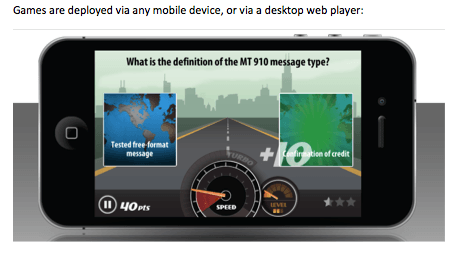 mLevel is a learning platform that uses fast and fun games to engage employees in company learning objectives. With increased engagement, employees are able to quickly learn and retain new information that ultimately leads to improved business performance. There are only a handful of companies today that are deploying gamified learning solutions to enterprise organizations. mLevel focuses on 3 core areas: Missions, the Studio and the Analytic Suite. The mLevel Studio component is an administrative tool. This is where companies can create training missions on custom topics, add videos, push to specific user groups, and add rich images to support company branding or training needs. All of this is done from an intuitive, web-based interface. Trainers can create missions on the topic of their choice, add locks, levels, and dynamically create questions (part of what mLevel calls their ‘secret sauce’) to act as the training materials. While all of the above is important, it seems nothing can be given a true value without measurement. The Analytic Suite tracks everything from the amount of times a user has played a mission to what they got right or wrong, all with the ability to be exported into an existing learning management system (LMS). On average, an employee plays the games in excess of twelve times, only being motivated by wanting to be the best, or by pre-established incentives. From this repetitious playing, they become masters of the content, and by mastering the content; they increase the value and benefits for their company. While mLevel’s product was first released only a short time ago, in mid 2013, they are already working with 11 out of the Fortune 100, have reached over 100,000 users and have been deployed on 3 continents in 4 languages, including Mandarin Chinese. 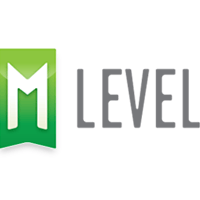 To date, we know of no other SaaS platform quite like mLevel from a usability, performance and achievement perspective. Compare mLevel with the other gamification companies in our Gamification SmartAdvisor. Learn everything you need to know about mLevel. Our experts will reach out to you shortly.